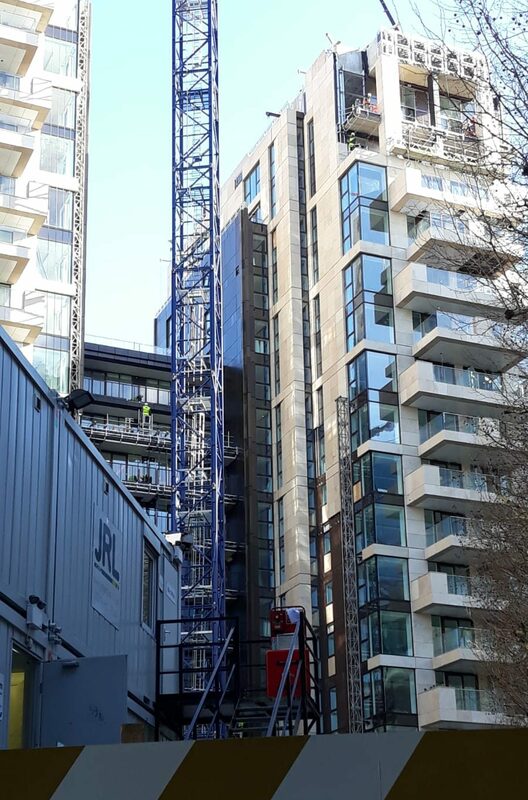 Fires on construction sites are usually an unexpected occurrence and can be quite devastating and can cause plenty of damage to the business as well as put the lives of workers on the worksite at a considerable risk. Therefore, it is essential to have a safety system in place that provides information regarding the procedures to be followed in case of a fire-related emergency. Construction sites or buildings under construction are more vulnerable to fire breaking out than completed and occupied sites. 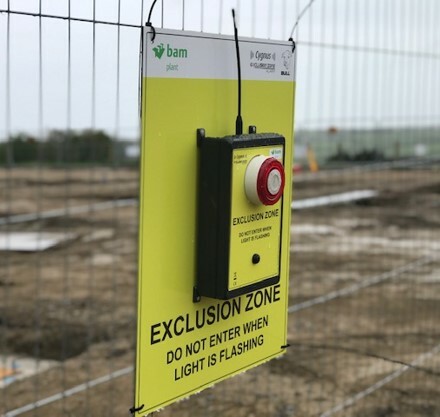 This is because the risks and hazards on a work-in-progress worksite are very different in nature as well as impact when compared to completed projects, as permanent fire protection and prevention systems are not in place on such worksites. 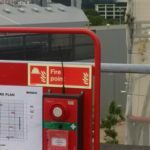 So, construction site fire safety presents us with some unique challenges. 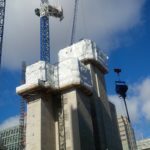 In the last decade or so, safety on construction sites has improved considerably. However, the rate of such accidents can still be quite high. Understanding the potential risks and dangers is the first step forward towards fire prevention and alleviation. 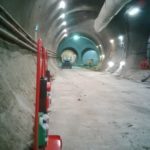 The next step is to determine local regulations that are applicable to the particular project and applying the required measures to ensure that compliance is in place. For any fire to start, the “fire triangle” is required i.e. oxygen, a source of heat and readily ignitable fuel. If any one of the elements is removed a fire cannot start and can be quickly extinguished. Construction sites have all of the three components in abundance and fire safety must focus on reduction of fuel and ignition sources on the worksite. 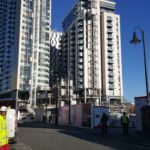 It is best practice to appoint a full-time fire safety officer or fire safety coordinator to oversee all the aspects of fire safety on a construction worksite. 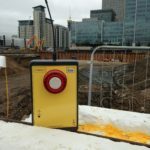 Fire detection, fire alarms and extinguishing systems must be located throughout the construction site. In case of a fire, the primary objective is to get all the workers to safety as quickly as possible. There must be efficient systems for fire detection such as heat detectors, smoke detectors, etc. to warn the workers in case of a fire. There must be an efficient alarm system that can be heard throughout the construction site to alert the personnel. 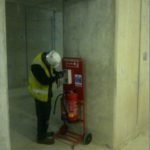 Fire extinguishers or fire hydrants are crucial components that are required as part of the fire safety system and must be located at all strategic locations over the construction site. Analysis of the construction site, taking into account the risks and factors related to construction, operations, implementation and phase of work. Putting into place the necessary procedures, policies and systems to control risks and preventing them. 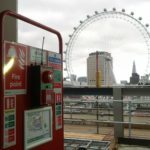 Analysing the availability of on-site and off-site resources and allocating staff for fire and emergency duties. Developing emergency protocols and procedures by defining responsibilities and roles in case of a fire emergency situation for various individuals. This includes procedures such as sounding the alarm, calling fire and emergency services and shutting down potentially dangerous operations. Cygnus shapes the way companies ensure the safety of their employees and the workplace in the case of a fire. The top-notch Cygnus products for fire detection and protection help you to be prepared for any fire-related emergency and thereby safeguards your workplace and your workers.